We offer both routine surgery and telephone appointments which can be booked up to 4 weeks in advance. Please book a routine appointment with your usual doctor at the surgery site you usually attend as this is also where your old paper medical records will be held. Doctor’s regular appointments are available from 08:00 to 18:00 and are pre-bookable. Monday to Friday. The Nurse Practitioner is available from 9.00 a.m. these appointments are released on daily basis. Your usual GP may be available on either a Monday or Wednesday evening between 6.30 and 8.00 p.m. also Wednesday morning 7.30 a.m. or Thursday morning 7.30 a.m. The surgery also offers a clinic at Aldershot Centre for Health every 2nd and 5th Saturday of the month. Through our locality of Aldershot the surgery also offers appointments Monday to Friday between 6.30 and 8.00 p.m. Saturday morning 9.00 a.m. until 12 noon and Sunday morning 9.00 a.m. until noon. These appointments are booked by the receptionist at the surgery but are local GP's and Nurse's who can access your medical records with your consent. The Sunday surgery is held at Frimley Park Hospital. Please be considerate, a routine appointment is for 10 MINUTES, which is enough time to discuss one problem. Taking longer than 10 minutes means everyone in the waiting room is delayed. This maybe you next time. Each 10 minute appointment is for one patient only. Please book routine appointments with your usual doctor. Please ensure you arrive in good time for your appointment. If you do arrive late, you may be offered another appointment so as not to delay those waiting to see that doctor in that surgery. Sometimes surgeries are delayed due to emergency home visits or very sick patients being fitted in during surgery. Please be a patient patient! If you wish to talk to the doctor about your children/any other patient or would like to see the doctor to see them, they need a separate 10 minute appointment. We cannot give you any information regarding another patient without their consent. Please remember to cancel any unwanted appointments or advise us if you are unavoidably delayed. This appointment can then be used for another patient to reduce waiting times. This could help you get a sooner appointment on another occasion. 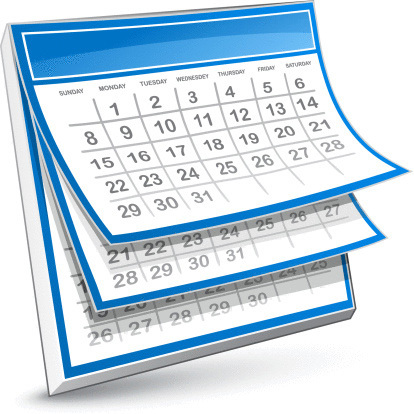 It is possible to book routine 10 minute appointments online up to 4 weeks in advance. Please see reception to register to use the online booking system. Currently nurse appointments are not available on line. The online system can be accessed via the link at the top of this page. If you are acutely unwell we can see you on the same day, though it may not be with your usual doctor. If you are well enough to attend work, we do not consider it medically urgent. We are not an emergency service so you should call 999 for emergencies. We offer patients the opportunity to have a booked telephone consultation with their doctor, as an alternative to coming to the surgery. Each doctor has 4 telephone appointments available per day. Appropriate things to discuss in telephone appointments are: medication / prescription problems, Condition review, General advice, or where the doctor has asked that you make a telephone appointment to discuss your test results further. If your doctor has no telephone appointments left that day, you can either ask for one the following day if the matter can wait, or, if it is considered urgent, the receptionist will ask the Duty Doctor to telephone you back. Please provide an accurate contact number as the doctor or nurse will only call once. The nurses are available Monday to Friday 08:30 - 13:00 and 14:00 - 18:00. For a wide range of medical conditions it is not always necessary to see a doctor as many can be managed at home with general advice. See the self-help section of our website. If the practice nurse feels that you need to see the doctor, they will make the arrangements with you on the phone. Routine GP appointments are available on Monday evenings and on Wednesday evenings at ACfH from 18:30 to 20:00. GP appointments are available on the 2nd and 5th Saturday of each month from 08:45 to 11:45. Appointments must be booked in advance. GP appointments are available on Wednesday and Thursday mornings at both our sites from 07:30 to 08:00. It is not a walk-in surgery. For URGENT medical problems please contact NHS Direct or Frimley Primary Care Service for advice. There are no practice nurses available during these extended hours surgeries so you will have to return if the doctor requires a practice nurse to assist or chaperone them during your consultation.